The cost of Netflix is going up. The streaming giant said Tuesday it was raising U.S. prices across the board, with its most popular plan — two simultaneous streams in HD — increasing to $12.99 monthly, about 18 percent above the current $10.99 price. The entry-level, single-stream plan is going up by a dollar to $8.99 per month, while tech nerds who want all the bells and whistles of four streams, Ultra HD, and Dolby Atmos will have pay $15.99 instead of $13.99. New subscribers will pay the more expensive fees effective immediately; existing members will see the new charges roll out in the coming weeks, and will be notified via email 30 days before their prices go up. 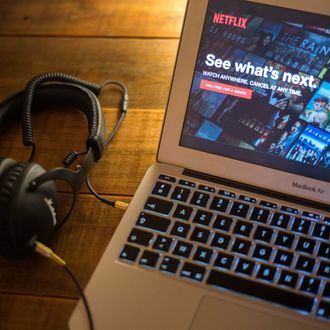 A Netflix spokesperson confirmed the new pricing structure to Vulture, adding that customers in Latin America and Caribbean countries where Netflix bills in dollars will also see their bills go up. (Brazil and Mexico are being spared the hike, at least for now.) “We change pricing from time to time as we continue investing in great entertainment and improving the overall Netflix experience for the benefit of our members,” a company spokeswoman said. It’s not particularly shocking Netflix is raising its rates. Its last big hike was in October 2017, and a slew of big cable and satellite companies — including Comcast, AT&T’s DirecTV, and Dish — have also rolled out increases in recent weeks. Netflix’s midrange plan is still $2 cheaper than what HBO charges its cord-cutting customers for HBO Now ($15 per month), though more expensive than Hulu with no ads ($12) or Amazon Prime (about $10 per month). Netflix, of course, offers much more original programming than any other streaming service, and Wall Street investors have been predicting for a while the company would continue to slowly raise rates in order to finance the billions it’s investing in content (and to boost its profits).